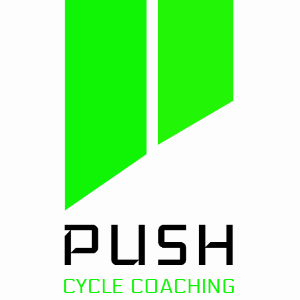 Push cycle coaching is a personal and effective coaching service. As a professional rider I have had the opportunity to work with some of cycling’s leading physicians, nutritionists and coaches. I know first hand the commitment that’s required to reach your goals and ambitions. I deliver fully customised coaching packages to clients with massively varied ability and ambition but aim to PUSH each further to get the the results they want. I have been a professional road rider for 5 years. Racing at Continental Professional level here in the UK and around Europe. I have been lucky enough to work with some real world class managers, athletes and teams. Picking up invaluable knowledge along the way. I want to use my 'inside' knowledge to improve your ability and give you a real PUSH! Over my time in the peloton I have developed and adapted my training style and; using my experience and technical ability created a complete coaching package available to cyclists of all levels. I have helped coach a range of riders, each with their own individual goal. From Elite level riders to complete novices I have gained huge satisfaction seeing their improvements! If you struggle to get the most from your time on the bike, or feel your performance has plateaued I'm here to help. Please do get in touch to discuss in more detail. Success. Coach Dexter Gardias has been notified of your message.